Visit also the famous Gorges de l’Ardèche and the new Pont d’Arc Cavern (Grotte Chauvet) at only 45 minutes from the campsite. 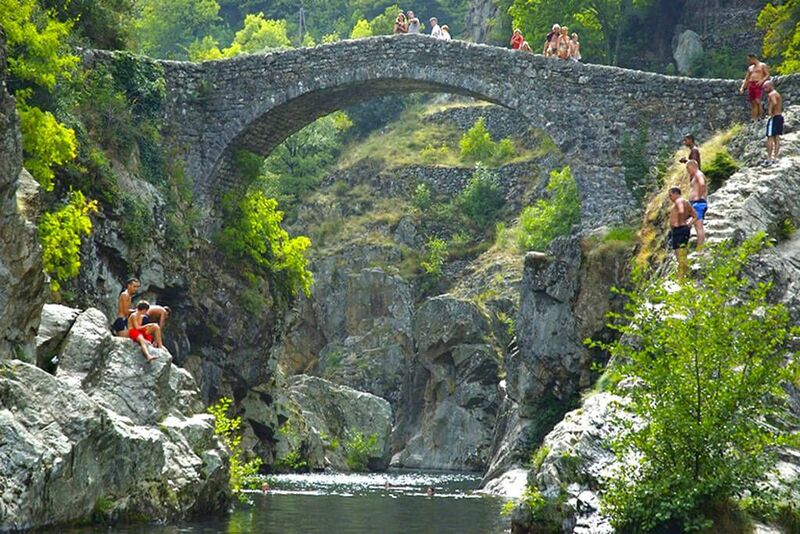 Nearby Thueyts, The pont du diable (‘devils bridge’) is a required visit during a stay in the ardeche. At Péreyres, you will find this wonder of the region. 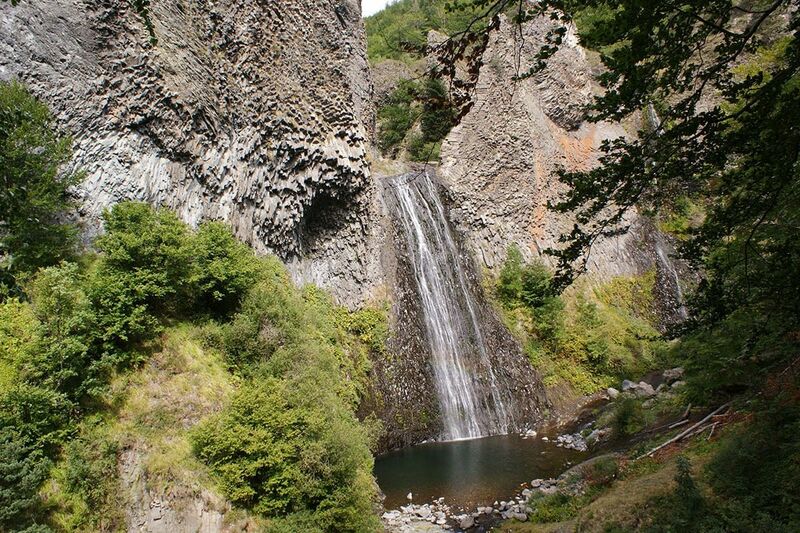 With its two falls crosses a basaltic and volcanic casting of 35 000 years old. The entering of the Gorges of the Ardeche. 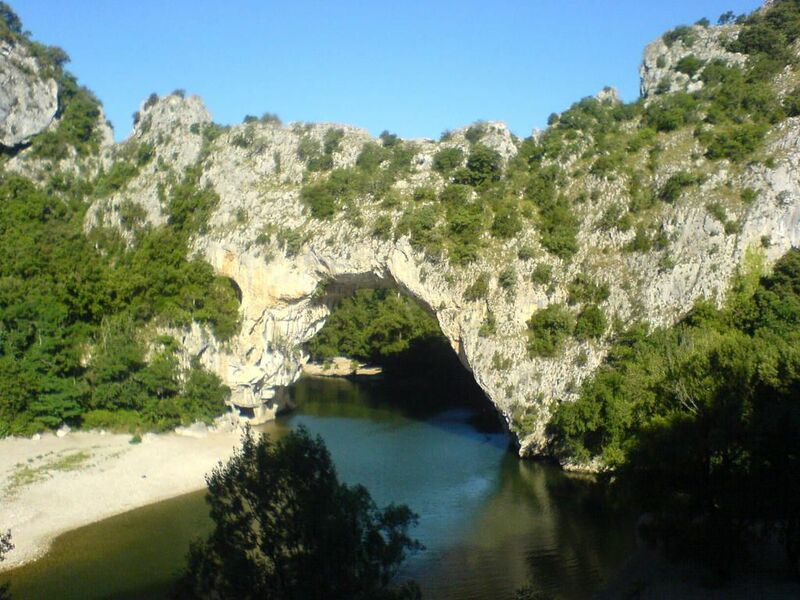 A natural Arche of more than 60 meters spanning the Ardeche river. The pont d’Arc is the only case in France of a stone Arch overlooking on a river still in activity. This is the place for the canoeing lovers. 32 km’s from the gorges, extended from Vallon pont d’Arc to Saint Martin d’Ardèche, forms a uniqe reserve natural. You can discover it by feet, or during a canoeing adventure. This place is also very appreciated by caving and climbing lovers. At some places, the cliffs overlook at the Ardeche river at more than 300m high. The Pont d’Arc Cavern, 20 years after the discovering of the Chauvet cave, the exhibition space receives visitors. 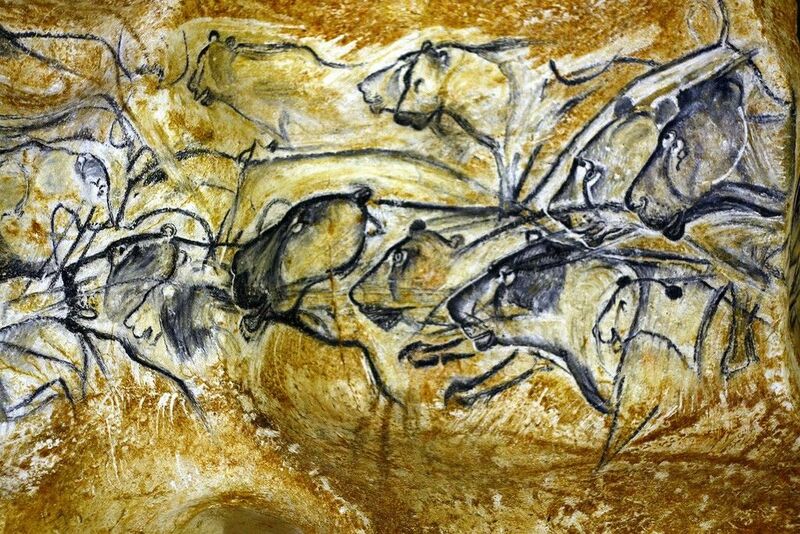 Today, the Chauvet Cave is the oldest one on the world: 36 000 years. After having admired the Cave, you can continue to explore the prehistoric world in the exhibition space, which will make you discover the Aurignacian culture, art techniques parietal and animals that once served as models for our ancestors. Real scientific feat, technological and artistic achievement of the Cave gave birth to a second exhibition, which you will also be invited. You will discover the key stages of this unique building in the world. This prehistoric work of art is ranked in the World Heritage of UNESCO. At Saint-Alban-Auriolles; Discover the history of Silk in the Ardèche in Alphonse Daudet’s family farmhouse. Established in the former Oratory College of the Seventeenth Century in the heart of the old Joyeuse, the Châtaigneraie museum reflects the close ties that have united for centuries the Cévènes people to the “sweet chestnut tree”. A 400 square metre exhibition where you can trace the history of the Ardèche chestnut. 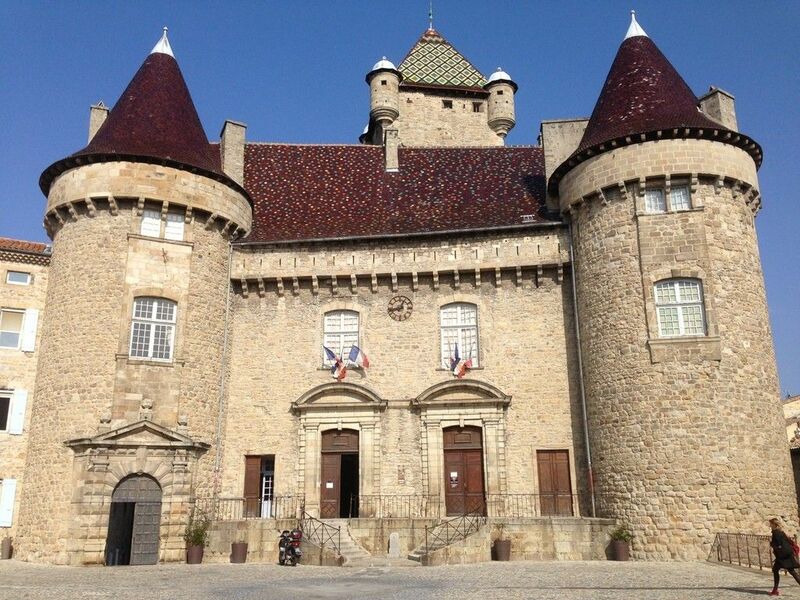 Aubenas is a medieval town,where you can visit the castle (guided visit of about 1h40), as well as the old town center with its little streets, and the castle square surrounded by characteristic buildings. You’ll also find markets on Saturday and Wednesday morning. And in July and August a night market on Wednesday. The “Cabane du Pêcheur” will give you all the material you may need for fishing (material, map…). 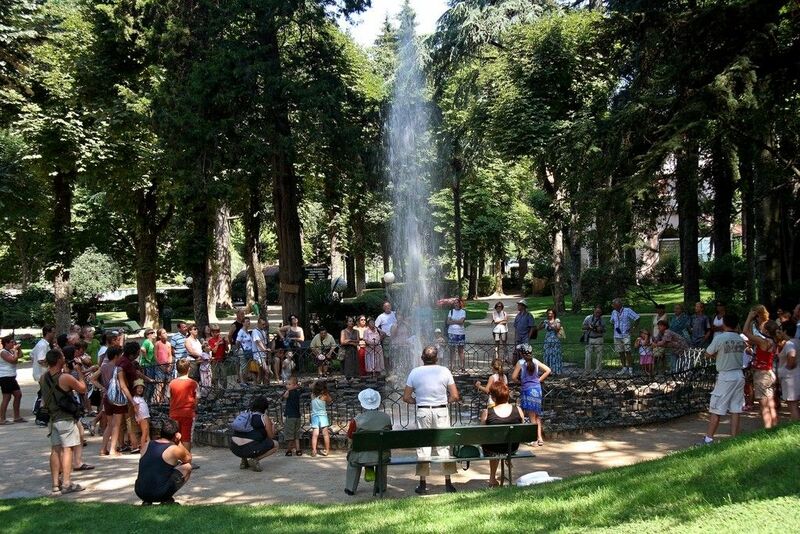 In this thermal town, you will enjoy the spa of the thermal resort (Jacuzzi, hammam, swimming pool, water jets) and watch in the park, the Intermittent Spring. You can learn its history in the museum of the Maison Champanhet. 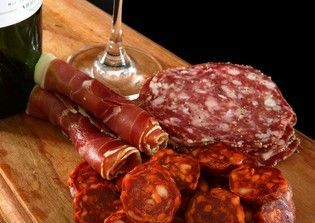 You can savour the local products on the markets, Thursday and Sunday morning, even during the nigh market. And taste the beer Bourganel at the brewery. It’s the beer product with local products and made in Vals-les-Bains. Perched on a cliff overlooking the Ardèche, the former stronghold of the “Lords of Balazuc” retains many traces of its medieval past. The crossing over the river will bring you to the ‘Viel Audon’ transformed into a little eco-village. 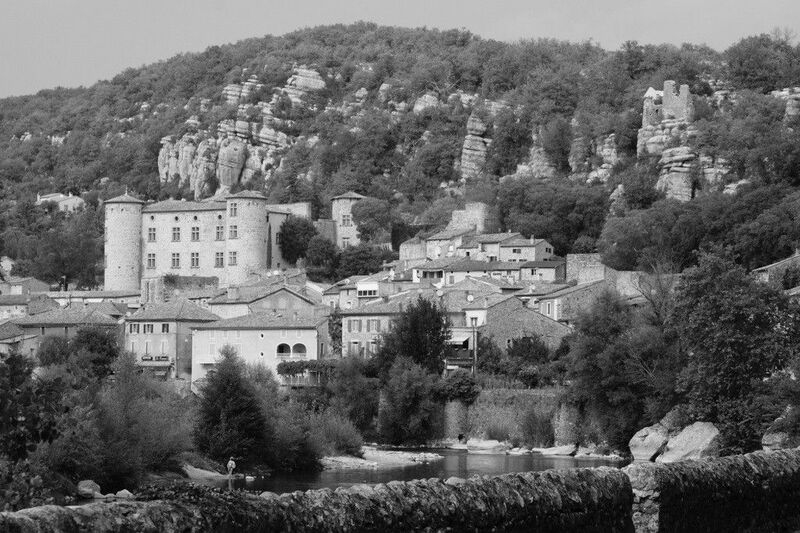 This beautifull village is built like an amphitheatre over the Ardèche River beach and is one of the most famous scenic and picturesque places of the Bas Vivarais. Located 470m above sea level on a volcanic peak, the village of Antraigues sur Volane, classified as “character village”, is named after the three rivers that surround it: the Farmhouse the Volane and La Bise. Little streets full of flowers, cobbled street and covered alley will lead you to the heart of this old typical village. In summer, you’ll take part of some petanque games, concerts and flea markets. It’s also the village where lived Jean Ferrat. The house of Jean Ferrat is open since the 13th March 2013. During your stay, enjoy lots of different hikes starting from the campsite, from Vals-les-Bains or from Aubenas. 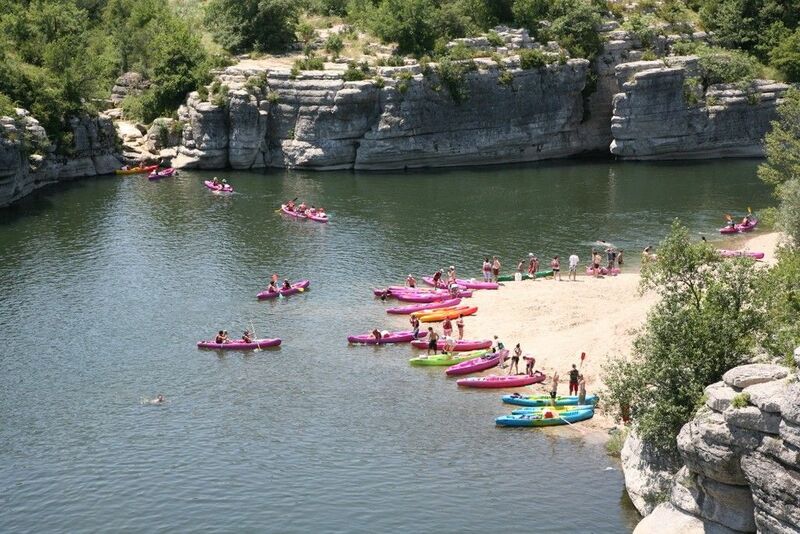 To do around: Canoeing down the Ardeche river, canyoning,climbing, spéléologie, course in the trees, VTT. At the reception you can reservate several activities (canoe, speleo, canyoning, the course in the trees and vtt). The health cures ‘thermes’ are at 10 minutes from the campsite (in Vals-les-Bains). They propose sessions of, Hammam, Jacuzzi baths, face and body cares, massages and hydration therapies. … Everything to feel good! The chestnut, autumn fruit, was during a long time the basic food in the ardeche. That’s why we still call it the tree of bread. The Ardeche is proud to be the first department producer of France. The goat cheese… The most known is without a doubt ‘le Picodon’. In the south of the ardeche you’ll find a lot of olive trees, different varieties are growing: the ‘rougette’ is the most iconic. From farm to farm… in April. My country my party… in May. L’ardéchoise – a cycle event in June.